This farm has been in the Henry/Alexander family since 1899. 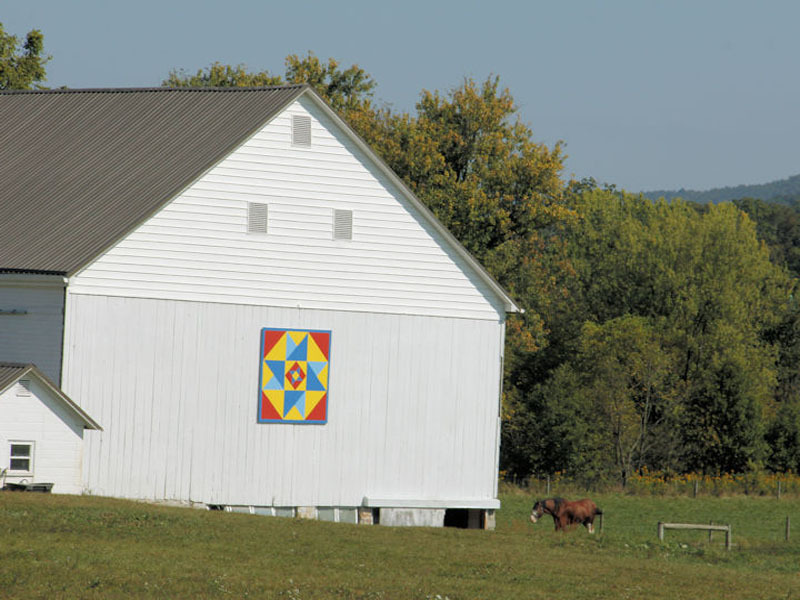 The barn on which the quilt hangs is one of the largest barns in the area. The barn and original farmhouse date to the late 1700s. Two of the orginal land parcels combined to make up the farm were named Friendship and Delight, respectively. The quilt block is an original combination of a traditional friendship square pattern and an eight-point star pattern known as Dora's Delight.